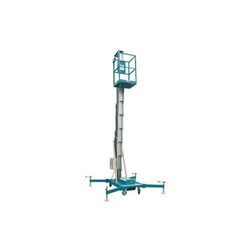 Manufacturer of a wide range of products which include order picker and single mast arial lifting platform. The Order Picker or order preparation operation is one of a logistic warehouse's process. It consists in taking and collecting articles in a specified quantity before shipment to satisfy customers orders. It is a basic warehousing process and has an important influence on supply chain's productivity. This makes order picking one of the most controlled logistic processes. 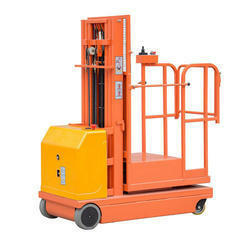 It is one of the warehouse management system functionalities.